UKC - United Kennel Club . 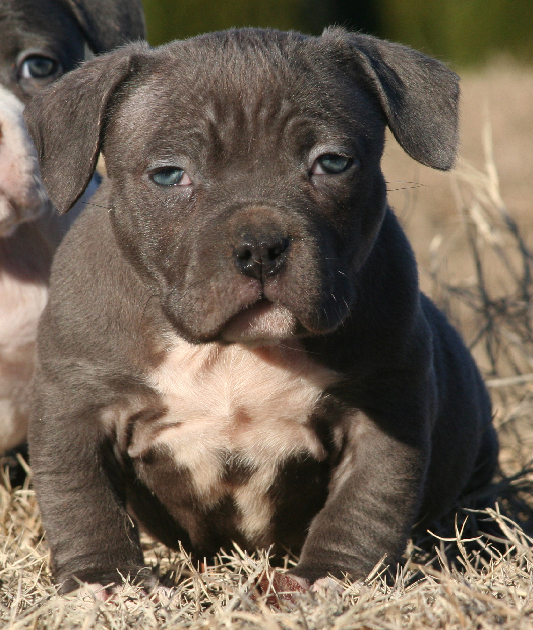 They are Purple Ribbon status and are recognized as American Bullys by top bloodlines and structure. HARDROCKBULLYS (HRB) Blue Nose Pit Bull Dog Kennel is in Summerville Georgia northwest of Atlanta GA near Alabama AL and Tennessee TN in the United States. 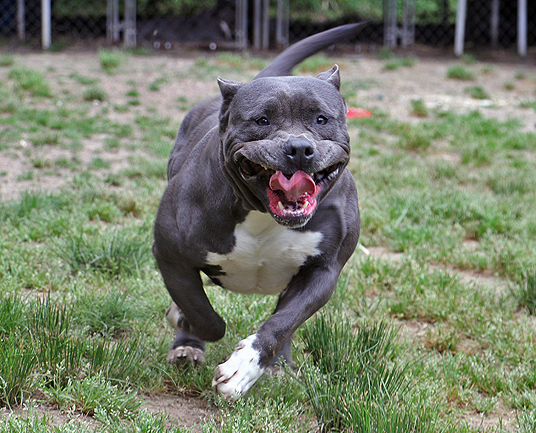 I have been an American Bully Pitbull Breeder for 9 years. HRB specializes in show quality Blue Nose Pitbulls Puppies For Sale. The Blue Nose Pitbulls For Sale here at HRB come in all colors with Blues, Tri-colors, Fawns, Champagnes, Blacks, Brindles and White. 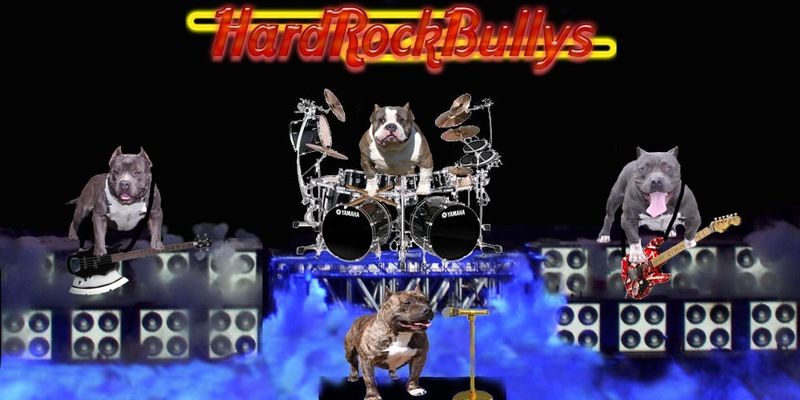 Hard Rock Bullys pit bull kennel originated from Ultimatebluepitbulls in Macon GA. I do purchase Blue Nose Pitbulls For Sale from other pitbull dog breeders but mostly the American Bullys at my Pit Bull Kennel are derived from Ultimate Blue Pitbulls. Over the years as a selective Blue Nose Pit Bull Breeder and having quality puppy picks my focus has been on having loving temperaments, heavy duty muscular bodies, nice head peices, a height range of pocket to standard by ABKC American Bully Kennel Club registry standards. 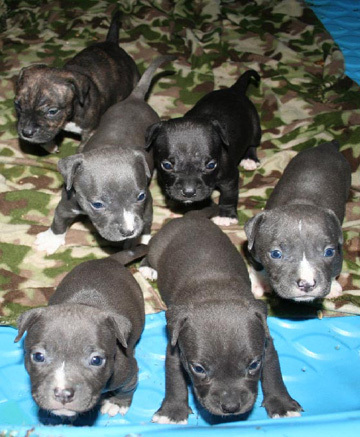 Some of our blue nose show dogs are dual registered with ABKC for showing purposes. 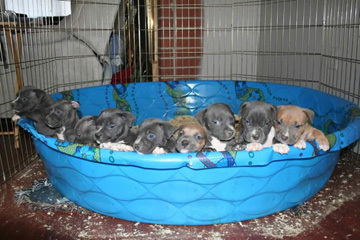 All of the Blue Nose Pitbulls Puppies For Sale here can be dual registered with ABKC. 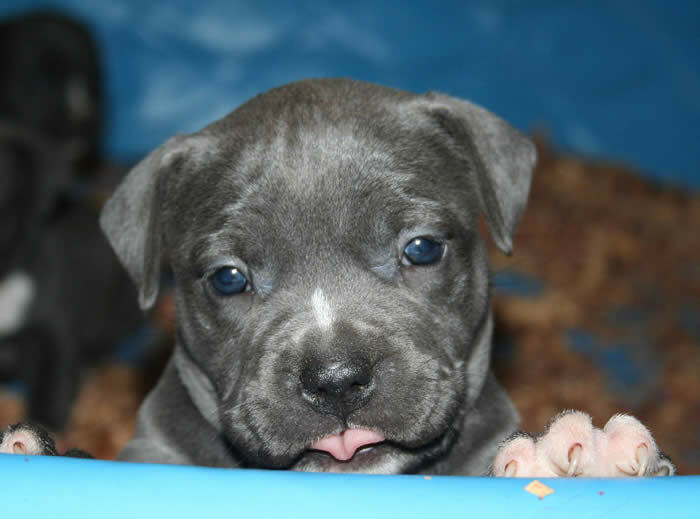 Even though the main objective for HardRock Bullys Pitbull Dog Kennel is to have the Ultimate Blue Nose Pitbulls For Sale, it will eventually be the most entertaining blue nose pitbull site on the WEB! I can not disclose all that will be on here but it will be very Visual, Fun, Informative, and Heartful! So be sure to mark HardRockBullys Blue Nose Pitbull website as your favorites and tell your friends. FaceBook members give HRB your support. Thank you! 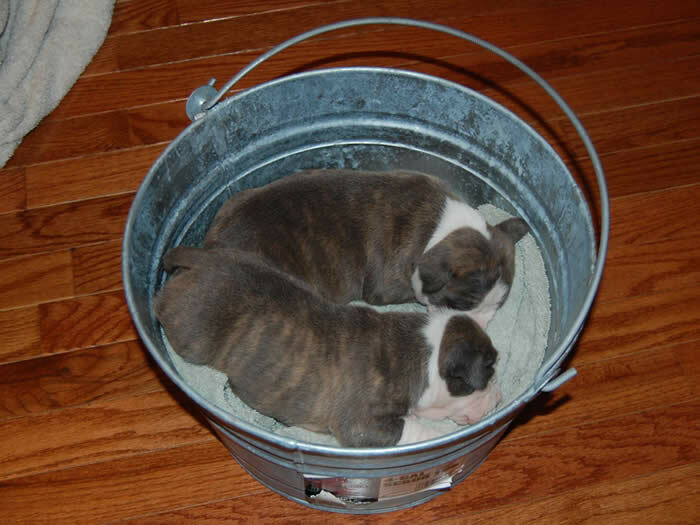 All of the HARDROCK BULLYS pups are raised in a family environment and are socialized with children. These Puppies get lots of individual attention. Almost every American Bully PitBull has an excellent termperament from HRBs Pit Bull dog kennel north of Atlanta GA. HardRockBullys American Bully Pitbulls are not used for any illegal or immoral acts - NO FIGHTING! world wide. We also get a lot of visitors from neighboring states like Alabama AL, Florida FL, Tennessee TN, South Carolina SC, North Carolina NC and more. We have actually had visitors drive from California CA to see the Bullys! 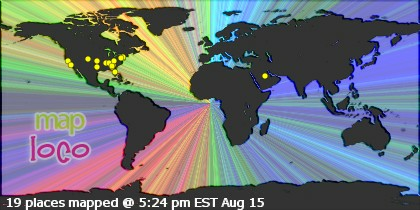 MMap shows visitors locations from last 24 hours.